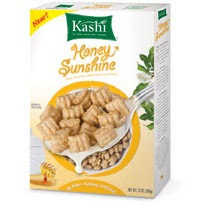 I just signed into my VocalPoint account and found THIS coupon for $1.50/1 Honey Sunshine Cereal !! My kids LOVE this cereal. They have taking it in their lunchboxes every day for snack! You don’t have to be a member of VocalPoint to print the coupon! However, I do recomment signing up for VocalPoint, it’s free to join and you will get coupons + samples during different promotions!